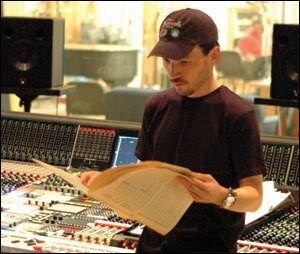 Longtime readers of this blog are all too aware that I'm a huge fan of Steve Jablonsky, the immensely talented composer responsible for motion picture scores such as Michael Bay's Transformers series, the television series Desperate Housewives and the last two Gears of War games. Heck, Jablonsky's work is easily among the most-played on my iPod! Especially the soundtrack for Gears of War 2: it's perfect for whenever I'm at the dentist. Anyhoo, it's a few months old but new to me: Variety has an in-depth article about Steve Jablonsky and his career, including how he got started in film and television composing. I'll heartily recommend it not just for fellow Jablonsky fans but also for anyone budding composers who want to take a stab at working in the industry. Big tip o' the hat to good friend Mike Casteel for the great find!